O.C.G.A. 20-2-690.1. requires the parent, guardian, or other person who has control or charge of a child or children to sign a statement indicating receipt of such written statement of possible consequences and penalties; children who are age ten years or older by September 1 shall sign a statement indicating receipt of such written statement of possible consequences and penalties. Extended work assignments before or after school, Administrative Probation, Corrective Action Plan, ISS, up to 10 days, removal from the bus, Law Enforcement charges and/or Disciplinary Hearing with Alternative School Recommendations or other reasonable disciplinary actions as deemed appropriate by the principal or principal’s designee such as loss of parking privileges, etc. Extended work assignments before or after school and/or Law Enforcement Charges filed with Disciplinary Hearing requested with recommendation of removal to Alternative school. Other reasonable disciplinary actions as deemed appropriate by the principal are referred to the Probation Officer, Truant Officer and/or School Social Worker. Note: Students may NOT participate in activities, rehearsal, practices and/or games on the days he/she is absent from school. When a student must be absent, the absence will be classified as excused or unexcused. In order for an absence to be excused it must fall into one of the following categories: personal illness, illness or death in the immediate family, recognized religious holiday observed by your faith, absences mandated by governmental agencies, and instances where attendance would be hazardous to the safety of the student. All other absences will be considered unexcused. Excuses for absences shall be furnished in writing within three school days of return to school. All notes should contain the students name, reason for the absence, the date(s) absent, and parent’s/guardian’s or physician’s signature. Students should bring excuse notes directly to the front office upon their return. A note from a parent will serve as sufficient excuse when brought in immediately following most short-term absences. The principal has the authority to require additional proof of the legitimacy of the excuse. For example, the principal may require doctor’s statements justifying the absences of a student. Any unauthorized absence from school will constitute an act of truancy. Students with 5 or more unexcused absences, and all cases of students with 10 or more total absences will be submitted to the School Attendance Officer for further options. The school will provide supervision for students 30 minutes prior to the start of each school day. Students must leave the campus immediately upon dismissal unless involved in a supervised after school activity. Car riders must load and unload at the designated area for parent pickup. Students involved in an after school activity must report to the supervising teacher/coach immediately. All students, not under teacher supervision must be off campus by 3:00. Students riding buses will board buses parked in the bus lanes alongside the school. All students who ride in cars are to be picked up in area specifically designated for parent pick up. During the school year your student will have the opportunity to use a WCPS device in class. This will be an exciting and educational learning experience for them. There are many different applications, videos, and activities that correlate with the lessons that we will be covering during the year. This opportunity also brings responsibilities, such as taking care of the WCPS technology. Use a non-teacher approved site on the internet. Students are not allowed to use cell phones or other personal electronic device devices during the regular school day. LMS is not responsible for damaged or stolen personal technology. All cases should be reported to LMS staff and will be investigated. Any damage to WCPS technology will be fully investigated and monetary fines are possible in the event of misconduct leading to damage, as is the case with the damage of any WCPS property. Parent/Guardians should contact the LMS front office to relay any emergency information to their student. Parents should obtain their log-in information to our student information system program, iCampus, early in the school year. This portal allows you to view your child’s grades, attendance, and other important information. Please be sure to keep your phone numbers and email address up to date. You can change your email information though a parent portal access on the Walton County website, www.walton.k12.ga.us. Go to the website and click on the parent tab. Click on the ICampus Parent Portal and follow the directions. Your contact information can be changed by coming in to our school office and giving that information to an office worker. The faculty welcomes the opportunity to engage in conferences with parents and students to discuss classroom performance, behavior, or any other concerns. Any parent/ guardian who wish to have a conference should contact your child’s teachers to request an appointment. Keep your teacher’s emails – this is important and allows you to keep up with your child’s performance weekly. If you have a concern or need to talk with someone other than your child’s teacher, please do not hesitate to call the appropriate counselor or assistant principal. Students can be given strikes by the classroom teacher for minor classroom behaviors including, but not limited to: behavior issues, gum/candy/eating, disobeying class rules, being chronically unprepared for class, class disruption, running, or other offenses at the teacher's discretion. Strikes do not include tardies. Student will receive a Discipline Referral and will see an administrator who will assign appropriate disciplinary action. Detention is assigned by teachers and is held after school on Tuesday and Thursdays. Parents and students should arrange transportation home from detention in advance. A student’s failure to return their signed detention form does NOT excuse them from the detention. Failure to attend detention will result in more severe consequences, except in those incidences where a parent makes other arrangements prior to the assigned detention with the teacher who assigned the detention. Walton County Board of Education Policy JCDB states students are to dress in a manner that is reasonable and not distracting to other students and teachers. Any dress of an extreme nature will not be tolerated. Each school principal will make final decisions regarding student dress in his or her school. Students must be in compliance as they go about their normal school routines. Students may not adjust their clothing in an attempt to correct clothing already deemed unacceptable. No earbuds or headphones shall be worn during the school day except with permission from a teacher. All dress and skirt lengths will be no shorter than 3” above the knee. All pants, shorts, and gym shorts lengths will be no shorter than 5” above the knee. The highest point of any slit in a dress, skirt, pants, or shorts must be no shorter than 5” above the knee. No exposed skin may show through holes, slits, rips or tears in clothing higher that 5” above the knee. Skirts, pants and shorts must be fastened and worn above the hipbone, fitting at the inseam and at the waistline. Clothing should not be extremely tight or form fitting as to cause a distraction. No cleavage shall be visible. No exposed undergarments are allowed. No sleeveless shirts shall be worn. No part of midriff shall be visible. No sleepwear shall be worn. No sheer or “see through” clothing shall be worn. No spandex skirts shall be worn. No “oversized” shirt or blouse shall be worn. Only slacks, khakis, jeans/denim, loose cotton or nylon sweatpants and corduroys may be worn. Tights, leggings, jeggings or spandex-style yoga pants are acceptable ONLY if the posterior area is fully covered. No head coverings except when used as a headband shall be worn inside the building(s). To include, but not limited to hats, ball caps, visors, bandanas, scarves, knit hats and hoods. No face coverings shall be worn including sunglasses used as eyewear. Suggestive language, graphics, symbols or slogans. Profane language, graphics, symbols or slogans. ANY reference (language, graphics, symbols or slogans) that are demeaning to others. ANY reference (language, graphics, symbols or slogans) to drugs, alcohol, tobacco, weapons or gangs. ANY language, graphics, symbols or slogans that are not in keeping with the values of the community. Any “dress” (clothing, hair color, jewelry, accessories, piercings, etc.) determined by the dress code designee to be of an extreme nature is prohibited and is a violation of dress code. All Physical Education Classes must adhere to the dress code outlined in the PE syllabus. STUDENTS MUST ADHERE TO THE OVERALL LMS DRESS CODE ON THEIR WAY TO AND FROM PE. Students violating the Loganville Middle dress code will be referred to the dress code designee. The dress code designee will make the final decision about dress code related issues. First Offense: Offense warning recorded in the dress code notebook. Student asked to correct the dress code issue. Parent/guardian may be contacted to assist in resolving the dress code issue. Second Offense: Offense warning recorded in the dress code notebook. Student asked to correct the dress code issue. Parent/guardian may be contacted to assist in resolving the dress code issue. Student will receive an administrative waring and may receive discipline action. Third Offense: Student will receive administrative referral. If the student is unable to correct the Dress Code violation, he or she may be placed in ISS for the remainder of the day or until such time as the issue is resolved. Upon correcting the Dress Code violation, the student may be permitted to his/her scheduled classes. If the student is out of dress code in ISS then another day of ISS may be added. 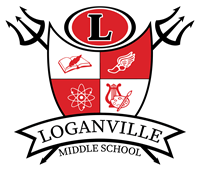 The principal has the right to modify or revoke the terms and conditions of the Loganville Middle Dress Code Policy at any time. Changes to this policy will be communicated through daily school announcements and will be posted on the Loganville Middle School website. They understand that their behavior should comply with all classroom, school, county, state and federal laws including the Middle School Rules and Policies, Walton County Code of Conduct, and the State of Georgia Senate Bill 250 and Statute O.C.G.A. 20-2-751. They also understand that their behavior is subject to our Code of Conduct which they acknowledge has been reviewed. In addition, they acknowledge that they can be charged with any consequence deemed fit, including a 2.02 or 3.02 code violation from the Walton County Handbook. It is also their responsibility to report bullying if it is seen or heard. They pledge to use the LMS Red Zone Reporting System appropriately. They will do the best they can to help any student who is obviously being upset or hurt by other students. LMS Parents will do their utmost to ensure that their son/daughter will abide by follow all classroom, school, county, state and federal laws. It is also the responsibility of their son/daughter to report bullying when it is seen or heard. To assure your child receives maximum educational benefits and to alleviate traffic problems, we ask that you only pick up your child in case of medical or other unavoidable appointments. When you must pick up your child early, please make the pickup prior to 2:15 pm. After 2:15 you will be required to wait for the school to perform its normal dismissal procedures. Parents and guardians who wish for other responsible adults to pick up a child should list that person in the student’s emergency contact/pick-up information in iCampus. All adults will be expected to show picture ID when checking out a student or visiting our campus. Policy JLB of the Walton County Board of Education states that the delivery of flowers, balloons, teddy bears or other gifts for Valentine’s Day, a student’s birthday or for any other reason is not permitted in any Walton County School. The office will NOT accept these deliveries. Guidance counselors are available for every student, not just for those who have experienced or are having trouble. Our teaching staff works closely with the counselors to help students succeed in school and reach their fullest potential. Any student desiring an appointment with a counselor must have a pass from the teacher or counselor. Parents are invited to contact their child’s guidance counselor at any time for assistance or to share concerns. Any time a student is out of class that student must have a HALL PASS by the issuing teacher stating their destination and time the student left the room. A student must obtain written permission from their teacher to visit the clinic or restroom, an administrator or guidance counselor. Use of Loganville Middle School lockers is a privilege. Any student wishing to use a locker during the academic year is assigned a locker. There is a charge of $5 for the rental of a school issued locker. Lockers are required to be locked at all times. Lockers are to be used at a student’s own risk. We cannot be held responsible for lost, stolen, or damaged personal property. By signing the Student Locker Agreement form, students and parents agree to abide by the terms and conditions set forth by the guidelines outlined below and listed in the Middle School Rules and Policies. 1. All lockers are the property of the Loganville Middle School and are subject to applicable school policies. We reserve the right to alter the policies governing the use of lockers and locks with appropriate notice. 2. Any assigned locker found unlocked at any time will be secured and possibly reassigned. 3. Use of a locker by a person other than to whom it is issued is forbidden. Misuse of a locker may lead to termination of locker privileges. 4. Each student may have only one locker. 5. 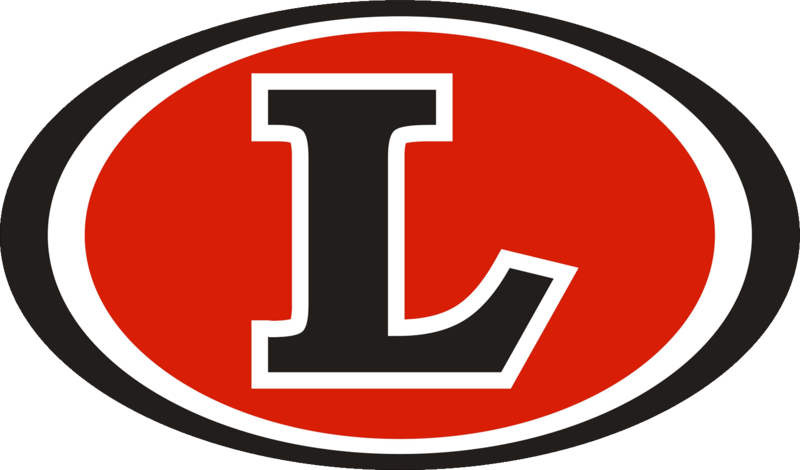 Loganville Middle School reserves the right to open a locker with or without the consent of the student to whom the locker is registered in instances where locker procedures are being abused or in the case of an emergency situation. 6. Students are not permitted to affix anything to the interior or exterior of their lockers. 7. All personal items must be stored completely within a locker. All items left outside of a locker, whether secured or not, will be removed and disposed of accordingly. 8. All lockers not cleaned out by the end of the school year will be vacated and contents destroyed. 9. LMS is not responsible for lost or missing items, either before or after clearance of a locker. Use of the office phone is limited to emergency calls. Parents should not call the school to speak to their child. Students may use the phone in the front office as long as the student has a proper pass from their teacher. Office personnel or the school nurse will determine whether it is necessary for a student to call home due to illness. Every student is given a new health information form at the beginning of the school year. Every student is required to turn this form in by the end of the first week of school. Forms go to the school nurse to keep on file for emergencies. School nurses must have written permission to administer any medication. Please check the medication box and the yes/no box to give permission for medication at school. Parents will be contacted prior to administration. Please see the school nurse for any additional forms for asthma, seizures, diabetes, etc that you may need. Please note that medications brought to school in "baggies" will not be given by the school nurse. Medication forms must be on file in the school clinic. NO medication of any kind will be administered to any student without a signed authorization form from the students parent/guardian and the prescribing physician, subject to the exception of emergency administration of auto–injectable epinephrine. NO over-the-counter medication or herbal/dietary supplements will be administered on a routine basis to any student for more than a two week period without a written order from a healthcare provider authorized to prescribe medication in the state of Georgia. STUDENTS ARE NOT ALLOWED TO TRANSPORT ANY MEDICATION TO OR FROM SCHOOL. Parents and guardians are responsible for delivering student medications to the school nurse. Students are NOT permitted to transport medication to or from school or to possess such medication at school, unless the student is granted an exception to this rule as provided in the student's Individualized Education Plan, Section 504 Plan; Emergency Medication Plan; or Diabetes Management Plan. Prescription medications must be in the original container bearing a prescription label from the pharmacy. Over-the-counter medications must be in the original container with the label from the manufacturer. Medications which may be self–administered at school include as asthma medications, auto-injectable epinephrine, diabetes treatment medications, and, as authorized by school administrators, other potentially life-saving medications that may be administered in an emergency. Information about LMS Sports can be found on the LMS website. Membership in the PTO helps to support our school and provides for better communication between parents and school. Membership fees are set by each school organization. Information about LMS clubs can be found on the school website. Students are responsible for keeping up with the school issued materials that have been issued to them. Having a school issued materials stolen does NOT release the student from the payment for the lost/stolen materials. Students are strongly encouraged to keep up with materials and use their locker appropriately. The school secretaries may not take messages regarding checkout or afternoon transportation for students. It is impossible for us to be certain with whom we are speaking. Our primary concern is each child’s safety. Your cooperation is appreciated in this effort. We require that all students come to school in the morning clearly knowing whether their parents expect them to ride the bus, walk, or be picked up by car in the afternoon. We also ask that parents clearly know whether or not their children are planning to stay for an after-school activity. If you have questions or concerns regarding transportation (bus schedules), please call 770-207-8653. Requests for special permission to ride a bus (ex: going home with friend) must be in writing from a parent and given to the front office IN THE MORNING. Requests will be reviewed and initialed once they have been approved. Students may retrieve them from the front office during their lunch. If it becomes necessary to withdraw a student from school, a withdrawal form must be obtained from the attendance office and taken to the persons indicated on the form for signatures. All school issued materials must be turned in, and all outstanding balances must be paid.